Life is full of good things which we should celebrate with cakes! Cakes boost the mood of everyone and add magic to a special celebration. With the help of cakes, you can make a simple event more beautiful and memorable one. And now you can feel the same happiness even after the distance between you and your loved ones as you are with them. With our online delivery services, you can send cakes online to Mughalsarai and enjoy the moments of celebrations with your dear ones despite the distance. Cakes are very special for every celebration because they add immense magic to the whole event and make the moments unforgettable one. Without having a delicious cake, a party will be incomplete and meaningless. With the kind of busy schedules that people have, there is no time for baking a tempting cake or even visiting a local bakery to buy a cake.Well, fret not! If you want a lovely cake, we have the best and the tastier cakes for making your celebrations super special! At our bakery shop, you can get a delicious range of cakes for your celebrations. Cakes help to make good memories with your close people and adore your relationships. 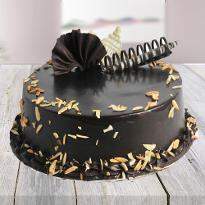 Our cakes will surely win the hearts of your loved ones and bring a sweet smile on their face. Bringing the best quality of cakes and getting the taste and flavor right, is what we specialize in. Our expert team makes sure that each cake is crafted with perfection so that you will have a delicious cake for your celebrations. And now with the help of us, you can send cakes online in Mughalsarai for your special one residing there. You can also steal your mom’s heart on Mother’s day by sending Mother's Day cake online. Winni is one of the most renowned names in the market when it comes to gifts, flowers and cakes. There is a reason behind it that we play our duty well to satisfy our customer needs and place the order without any hassle. Whatever the occasion is, be with these cakes offered by us and celebrate your special moments with your loved ones. So, just forget about the distance, order cakes online in Mughalsarai and send them to your near & dear ones to make them feel happy. Celebrations strengthen your bond with your loved ones and create the best memories with them. 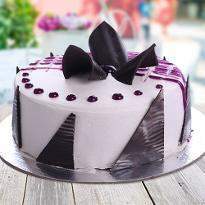 But, a simple event becomes more unique in the presence of delicious cakes. Right? So, to make your celebration more magical or joyous, Winni offers online delivery services in Mughalsarai. We provide the best quality of cakes in different designs, sizes, flavors and shapes too. 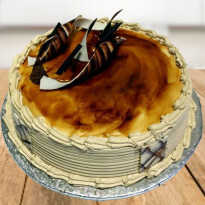 To order cake online in Mughalsarai, now you don’t even have to go outside from your home or place as you can place an order of cakes from us with few clicks at your mobile phone, laptop or PC. 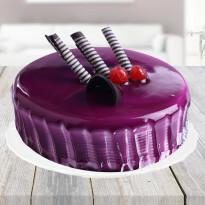 Therefore, Winni is such an online cake shop near you where satisfaction is guaranteed. We offer the best cakes in Mughalsarai that can fit into every kind of ceremony. So, tell us what your occasion is? Is it a birthday party, a wedding anniversary, Father’s Day, New Year celebrations or any other special event? We have got all types of mouth-watering cakes that can instantly uplift the spirit of your ceremony and your loved ones as well. Brighten up the day of your loving father by presenting a delicious Father’s day cake. All our cakes are available at an inexpensive price that fit your pocket, so these are sure to not give you a run on money. Now there is no issue to send cakes online in Mughalsarai with the help of our reliable online services. Whenever not able to visit your special ones, be with cakes and mark your presence felt by them on their special occasions. Now distance can't affect your happiness. So, what are you waiting for? 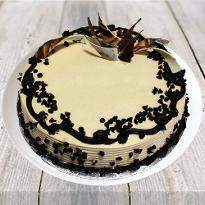 Just place your order from us, send cakes online to Mughalsarai and enjoy the online home delivery services.